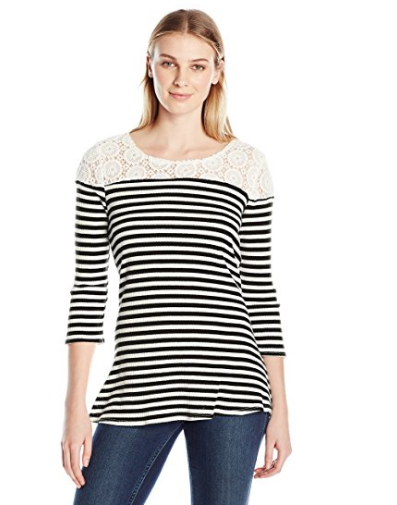 In our Easy Spring Updates post, we highlighted a few key pieces every mama needs to add to their wardrobes for spring. As busy mamas, we are constantly looking for ways to stretch our budget and still feel fashionable! Asking a few important questions before making a purchase can help. “Do I need this or just want it?” If it’s something you need, that makes the decision to purchase an easy one. But (big but! ), if the answer is just “I want it,” ask yourself a second question, “Can I wear this at least 3 ways?” If the answer is yes, then it’s a smart purchase to make. Being on a budget doesn’t mean you can’t make any purchases, it just means being smarter about the ones you do make! 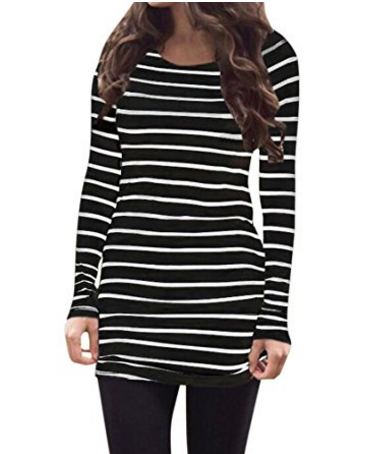 The added benefit to this type of shopping is that it makes it easier to mix and match pieces of your wardrobe for work, weekends and the much coveted date night or girls night out. Thinking about at least 3 ways to wear an item in advance makes it much easier to “grab and go” pieces in a hurry and feel pulled together instead of feeling like the hot mess you were 20 minutes ago with spit up down one shoulder and this morning’s breakfast (or maybe it was yesterday’s) down the front of your pajamas! 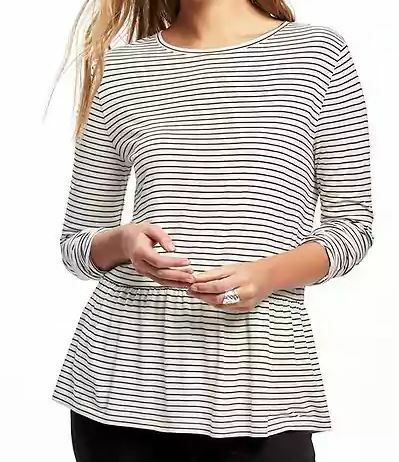 In this post we are featuring our spring must have, the striped tee! 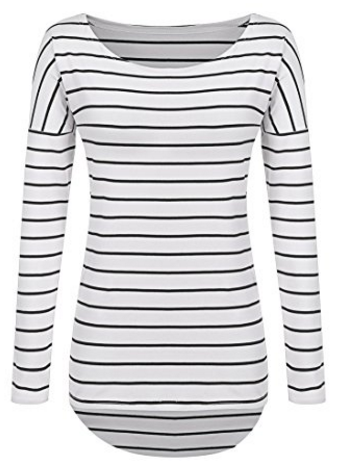 We find it easier to stick with a white base with either navy or black stripes for versatility in our wardrobe. But, look at your existing wardrobe and pick the color combination that works best for you. 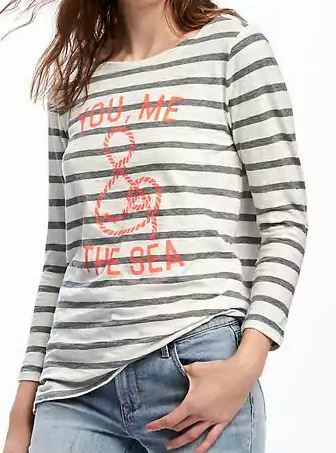 Perhaps pink/white or black with white stripes is more your style. 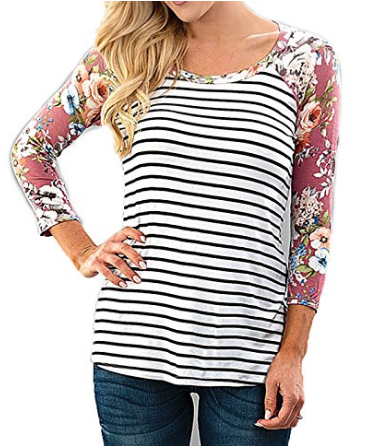 With florals making an impact this spring, you may even want to look at a shirt that combines stripes and florals mixed with any of the style options below! 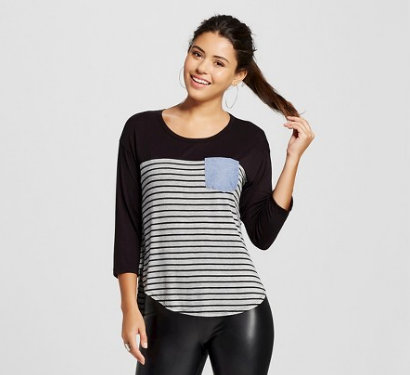 Show us how you styled your striped tee – tag #TheModernMamanista on Instagram!